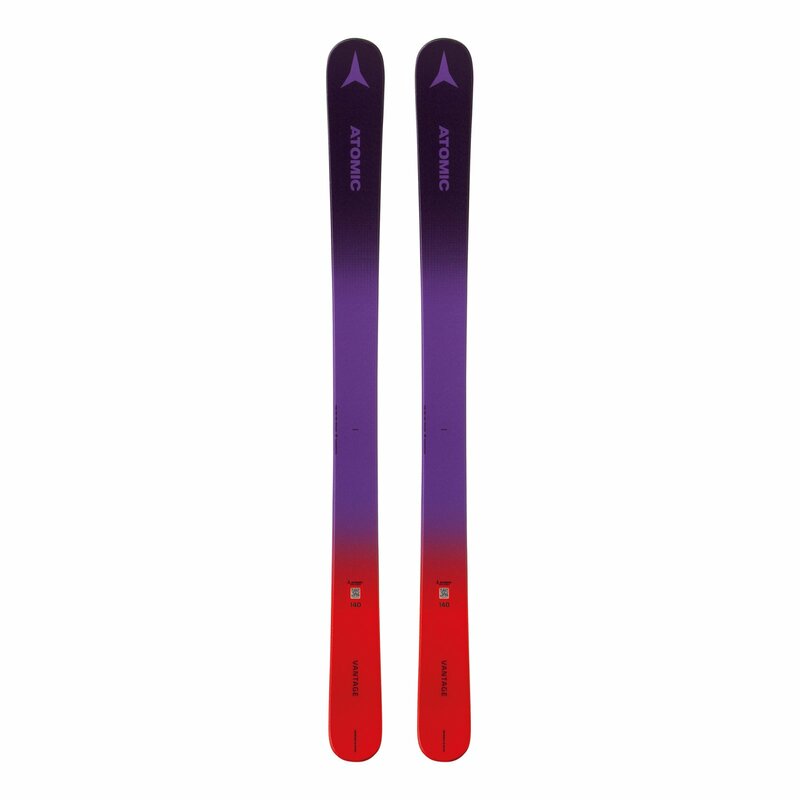 The Atomic Vantage Girl 140-150 is a stylish all-mountain girls’ ski designed for piste, powder and everything in between. Unlike many other junior skis, it’s not a system ski – ambitious young skiers can put any binding they want on it – even a touring binding. It has a wide and solid footprint that provides optimum flotation in softer snow and makes it easy to initiate turns on the groomers. The Vantage Girl 140-150 is ideal for young female riders with enough experience to start exploring off-piste, in a size they can still manage to ski with confidence and control.